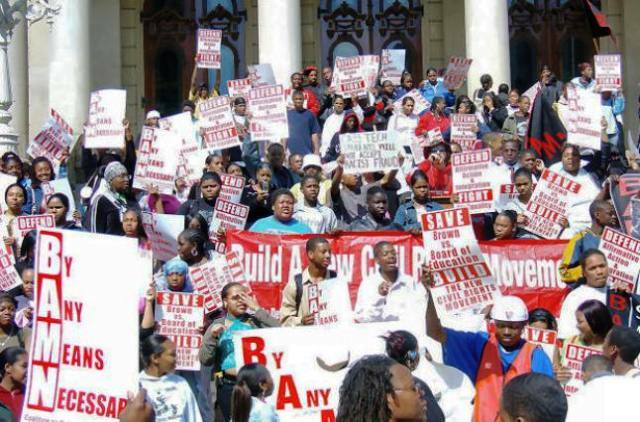 Students organized by BAMN protest at Michigan state capitol against Proposal 2, 2006. DETROIT – In a historic ruling Nov. 15, the U.S. Court of Appeals for the Sixth Circuit overturned Michigan’s anti-affirmative action ban, passed by state voters in 2006 as Proposal 2. By a close vote of 8-7, the full Sixth Circuit thereby rejected Michigan Attorney General Bill Schuette’s appeal of the Court’s finding on July 1, 2011 that the ban violates the 14th “equal protection” Amendment to the U.S. Constitution. ttorneys Shanta Driver. George Washington and Monica Smith announce affirmative action victory Nov. 15, 2012. “Finally the University of Michigan, Michigan State and Wayne State Universities, along with colleges across the state, will be able to re-open their doors to Black and Latino students,” said attorney Shanta Driver during a press conference Nov. 15 in downtown Detroit. She and attorney George Washington argued the case on behalf of the lead plaintiff, the national Coalition to Defend Affirmative Action, Integration, & Immigrant Rights and Fight for Equality (BAMN). 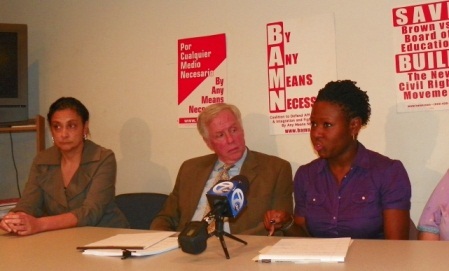 Attorney Shanta Driver of BAMN at press conference Nov. 15, 2012. That included not only students, but workers and businesses contracting with the institutions. Nine out of ten Black voters voted against Proposal 2, but it passed by 58 percent because white voters supported it two to one. 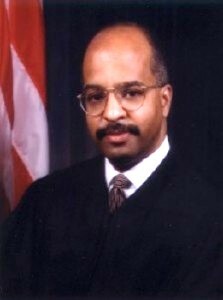 Justice Ransey Guy Cole, Jr. of the U.S. Sixth Circuit Court of Appeals wrote the court’s majority decision. Washington noted that since then, the U.S. is becoming a “majority-minority” country. “The decision means universities will be able to open their doors to the newly-emerging majority across the U.S,” he said. In its closely divided ruling, U.S. Sixth Circuit Court Justice Ransey Guy Cole, Jr. explained in basic terms the reason for the court’s ruling. Ward Conerly and Jennifer Gratz, initiators of MCRI. Conerly also helped sponsor California Proposition 209. The last is what white student Jennifer Gratz resorted to, supported by California businessman Ward Conerly and funded by corporate right-wing think tanks. 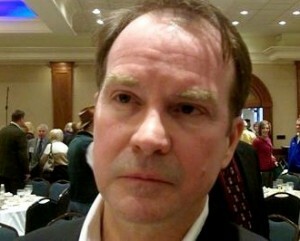 Schuette said he plans to appeal the en banc ruling on what he called “The Michigan Civil Rights Initiative” (MCRI), the name of the group that campaigned to put Proposal 2 on the Michigan ballot. Its petition-takers frequently told signers they were signing to support a pro-civil rights amendment. 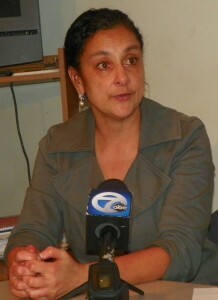 Protest against Prop. 2 at U of M.
Driver, Washington and attorney Monica Smith of BAMN said they welcome that opportunity. They said it will aid the building of a national movement in conjunction with other states. A decision from the U.S. high court is pending on oral arguments held Oct. 10 in Fisher v. Texas, and an appeal of a Ninth Circuit Court of Appeals decision supporting California’s Proposition 209, is also pending before the USSC. 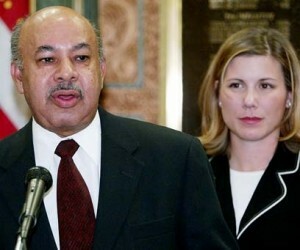 March to support affirmative action on Dr. Martin Luther King, Jr. Day, 2003, prior to USSC decision. Attorney Monica Smith said she, along with her brother and cousin, graduated from Michigan universities only because of their affirmative action policies. U of M’s policies were upheld by the U.S. Supreme Court in 2003 in Grutter v. Bollinger. BAMN and other groups brought 50,000 people, including many Michigan students, to the steps of the USSC in Washington, D.C. that year. Monica Smith (right) and other protesters confront Jennifer Gratz as she enters U.S. District Court in downtown Detroit to defend Proposal 2. Smith said that the small number of Black and Latin students in her class, even before Proposal 2, contributed many times to a hostile atmosphere based on race, in the middle of a city that is at least 82 percent Black. She said the following year’s drop in ‘minority’ enrollments also hurt white and poor students, because the size of the entire class diminished overall due to funding cutbacks. Police place Detroit Central High School youth on bus after mass raid inside school. In previous years, even at the undergraduate level, the majority of students at WSU have been white, at one point comprising 83 percent of the student population. 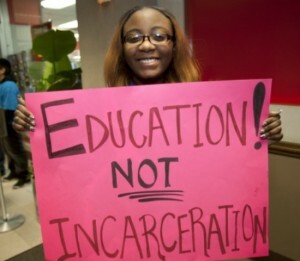 Meanwhile many Black students in Detroit and other cities across the state are denied admission and funneled into what the Michigan chapter of the American Civil Liberties Union termed “The School to Prison Pipeline” in a 2009 study, available at http://www.aclumich.org/sites/default/files/file/ACLUSTPP.pdf . 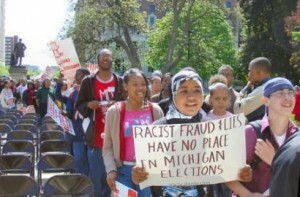 The attorneys compiled statistics from university websites which showed the dramatic decline of the admission of students of color into Michigan’s three major universities from Sept. 2005 to Sept. 2010. U of M averaged a 31 percent decline at the undergraduate level, with a 46 percent decline at the graduate levels. Wayne State University’s Schools of Law and Medicine averaged a 37 percent decline. (Click on AA stats) for all figures. “This decision ought to at least double the number of ‘minority’ admissions to these schools pending the outcome of the appeal,” Driver said. Nearly 70 percent of Michigan’s prisoners sentenced to juvenile life without parole are Black and Latino. Michigan’s universities create Dream Scholarships, offer full access to financial aid and in-state tuition to undocumented students. 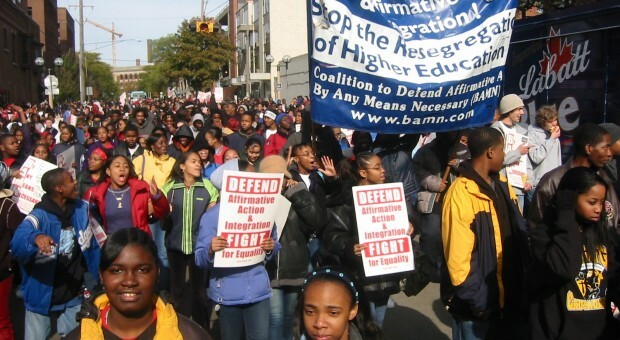 They say they are aiming to double the enrollment of “under-represented minority” students in 2013-14. http://www.bamn.com/social-justice/reinstate-affirmative-action-in-michigan-now. For more information, contact the law offices of Scheff, Washington & Driver at 313-963-1921, or go to the BAMN website at http://www.bamn.com/ .